Dose the heat effect bypass armor? The reason I ask is I just made a small B+B+H that was 5+5+5 and it bypassed the target's armor and cut through the subsystems underneath like the armor was not even there. Cannons and all beams are invisible for me when triggered with logic. Missile are visible, though. im actually still confused as to what each damage type does. I suspect that heat damage increases shield damage but thats about it. Having fun figuring stuff out so far. Feels a lot more complete with the weapon update integrated. The only thing I find a bit weird is the weapon recoil effect. I don’t see any real game play value in it. It’s a bit of a gimmick to play around with until it gets annoying. Ships drifting all over the place. AKA, heavy armour is sometimes useful as extra weight now. There's now reasons for some ships to intentionally use more armour than they otherwise should, at the expense of mobility. Thing is is there a minimum mass/damage ratio that negates the recoil? from what i could tell there isnt one and even the smallest cannon will push even the heaviest ships ever so slightly. ...I use water in my builds...there IS water. You make it out of ice. Am I missing some other meaning here? A design like that would still work even with the recoil. Its basically a first shot first kill design. If you are flung all over the place after that who cares. The annoyance what I’m talking about is every other reasonable design. You constantly have to push against the recoil when firing a weapon. Name another space game that has recoil in weapons. There might be some but I can’t think of any myself. There is good reason for that in my opinion. It’s not a fun to fight your own ship all the time. It makes you feel out of control as a player. And taking away control from the player is not a good thing unless there is a very good reason for it. Is the Volley Fire mode supposed to fire unfocused shots ? I think he wants like actual oceans of the stuff. Look you can like or dislike it that is up to you, but I would like to make a few point if I may. It already works like this, in all my tests the projectile is not effected by the recoil just your ability to get back on target quickly. Okay there are few things here that I would like to point out, If your gun is too big for your ship to handle it is not a reasonable design. Also you can not compare the old weapons with the new weapons as all the numbers have changed and no longer mean the same thing, a 1000 DPS gun in this build will preform differently than a 1000 DPS gun in the old build. And finally weapons recoil has been a factor in the real world for as long as they have been around, an example being the P-40E. "Nearly a hundred shots a second those six Fifties threw out, and the muddy river turned to foam near the target. The sense of power impressed me as the recoil slowed me many miles per hour in my dive; I could feel my head snap forward from the deceleration. Sometimes when the guns on only one side would fire, the unequal kicks from the recoil would almost turn the ship." This came from God is my Copilot Chapter 16. No Hits, No Runs, One Error. It is by Robert L. Scott, Jr. and is about his experiences in China during WW2. And yes back then pilots (especially the ones that learned how to fly before the war) would often refer to their plains as ships. 04. I will concede that the walking up effect of the weapons even when mounted center line to the ship MIGHT be a tad much. HOWEVER this may be do to the fact that wile the weapon is mounted center line you can fire that weapon at an angle that would result in that effect. I do think that we could do without the hole walking up, down, left, or right thing as long as the weapon is mounted center line of the ship. If you were to mount your weapon ells where, say on the left side of your ship (and didn't have a weapon of the same size on the right side of your ship to counter balance it) then I could see the recoil puling your bow to the left. But this is not a game braking issue for me. In space anything short of a pee shooter is going to move you a little. Well maybe something substantially bigger than a pee shooter, but you get the idea. Controlling the turrets is buggy. When i use selected target firing on the first one works. Then i switched target and turrets wouldn't fire even though they had a clear line of fire. Also, at some point turrets wouldn't move/follow where i was looking while in flight but would when in build mode. 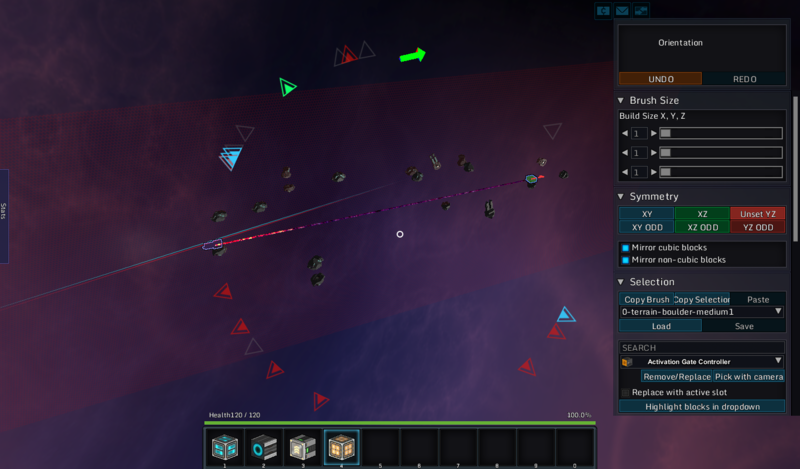 And last but not least, beam turrets can fire through the ship no problem. Ya they need some work, I don't even use that manual control they added, it has potential, but is just not useful for anything other than maybe a chin mounted gun that can only go left and right on a fighter. But the big thing is the turrets and docked entitys shooting through the mother ship, that need to be fixed soon as that can be so easily abused. 01. It already works like this, in all my tests the projectile is not effected by the recoil just your ability to get back on target quickly. 02. Okay there are few things here that I would like to point out, If your gun is too big for your ship to handle it is not a reasonable design. Also you can not compare the old weapons with the new weapons as all the numbers have changed and no longer mean the same thing, a 1000 DPS gun in this build will preform differently than a 1000 DPS gun in the old build. And finally weapons recoil has been a factor in the real world for as long as they have been around, an example being the P-40E. In space anything short of a pee shooter is going to move you a little. Well maybe something substantially bigger than a pee shooter, but you get "And finally weapons recoil has been a factor in the real world for as long as they have been around, an example being the P-40E. "the idea. "And finally weapons recoil has been a factor in the real world for as long as they have been around, an example being the P-40E." 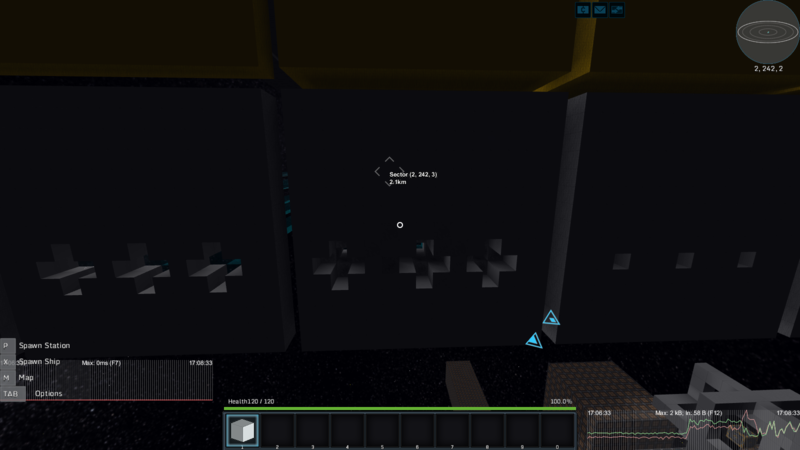 There is a gravity block. There is gravity effect. Recoil is meaningless to any civilization that controls gravity. Gravity control =inertia less acceleration. Just sayin. "Weather or not your ship is able to be controlled wile using the weapons is not a problem with the game, but a problem with your ship design." Kinda wrong. Min value means no matter what, it will always kick you around, even if it's a pea-shooter in comparison to ship weight. Also <CursorRecoilDirY>1.0</CursorRecoilDirY> <!-- direction of recoil (>0 = up, <0 = down, 0 = random) --> shows that weapon location has no bearing at all on recoil direction. 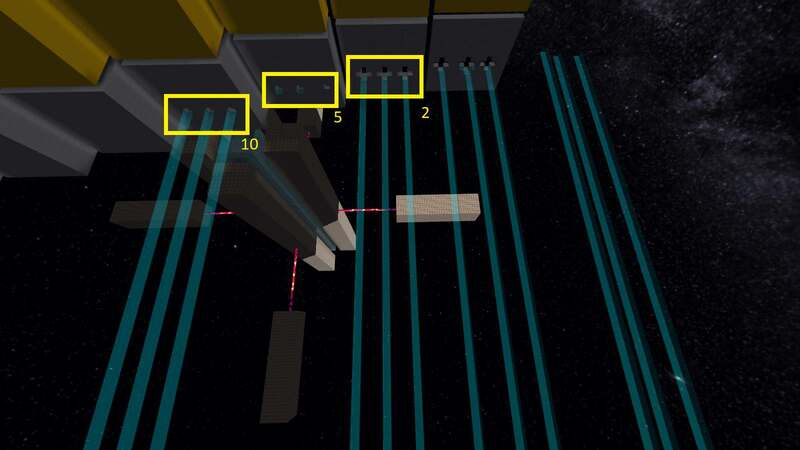 Shine is just testing out a FPS mechanic on a ship, when it should be limited to astro weaponry. That whole section really shows that it's not physics based at all and an unnesisary overlay to the actual physics and real recoil coded in above it. There is a gravity block. There is gravity effect. Recoil is meaningless to any civilization that controls gravity. So now we need a way to enable recoil compensation, but at the cost of increased power usage. 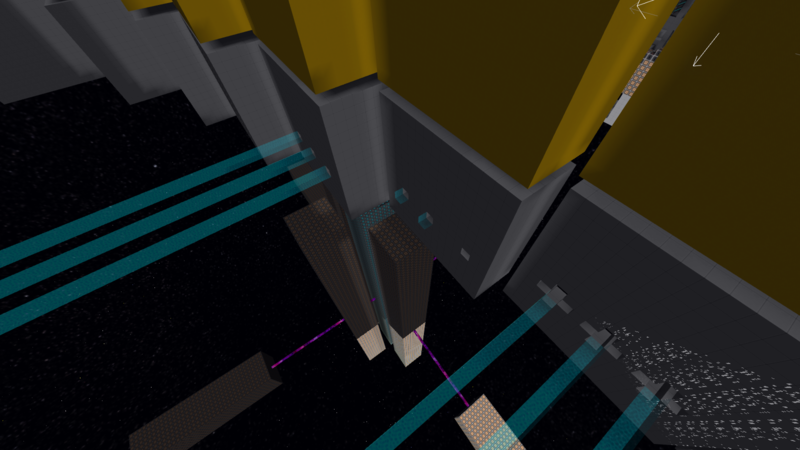 Perhaps an option in the Thruster panel, or maybe by linking a Gravity Module. Anyone can help me understand armor penetration with the new cannons? I used a pretty weak cannon with 5040 Shot DMG and layered Basic Armor. so ... at 10 layers it should completely stop my attack right? anyone else noticed something like that?